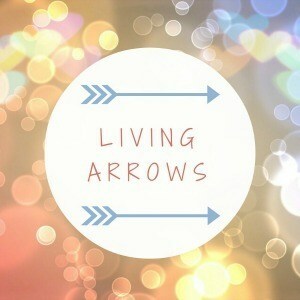 Each week I link up with Living Arrows, a linky hosted by Donna from What The Redhead Said. As Donna explains the project takes it’s name from a poem by Kahlil Gibran called On Children. 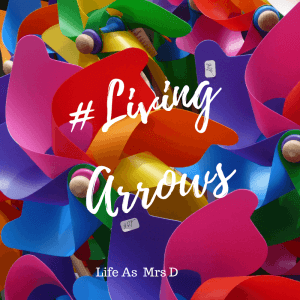 This year I’m going to be doing my Living Arrows posts a little differently to 2017. Rather than giving a recap of what we’ve been up to over the week, I’m just going to focus on the photo I’m sharing that week. So this week’s photo shows Isla at a DIY store and garden centre. She’s obssessed with pushing round her new doll’s pushchair, or her pushchair, or the shopping trolley. 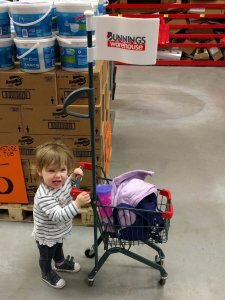 So she was super excited to find there was a child sized trolley in the shop. She ran around with it.. until she was distracted by a balloon! It reminds me of when I was little and we’d go on holiday to France. One of the little supermarkets we’d go to had little trollies like this too, and I’d always fight with my brothers as to who got to push it round the shop. 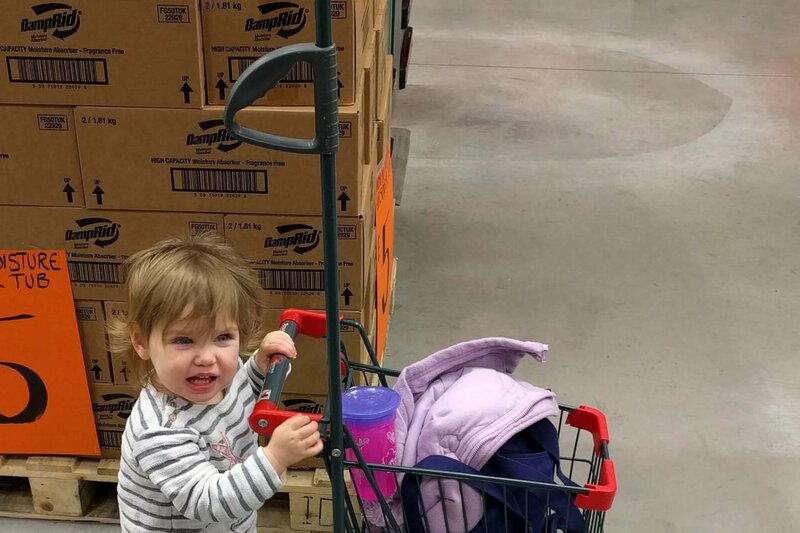 We’re planning on going to France sometime this year with my parents, and I think it would be quite… heart-warming if we found a supermarket in France that still did these mini trollies for Isla to push around while we’re there. I hope you all had a fantastic Christmas and New Year, and that you all have something to look forward to in 2018. If you’d like to see my previous Living Arrows posts, you can find all of 2017’s here. What an adorable photo! I feel like my kids might run riot with these little trollies! (Sarah from Twins Make Five).